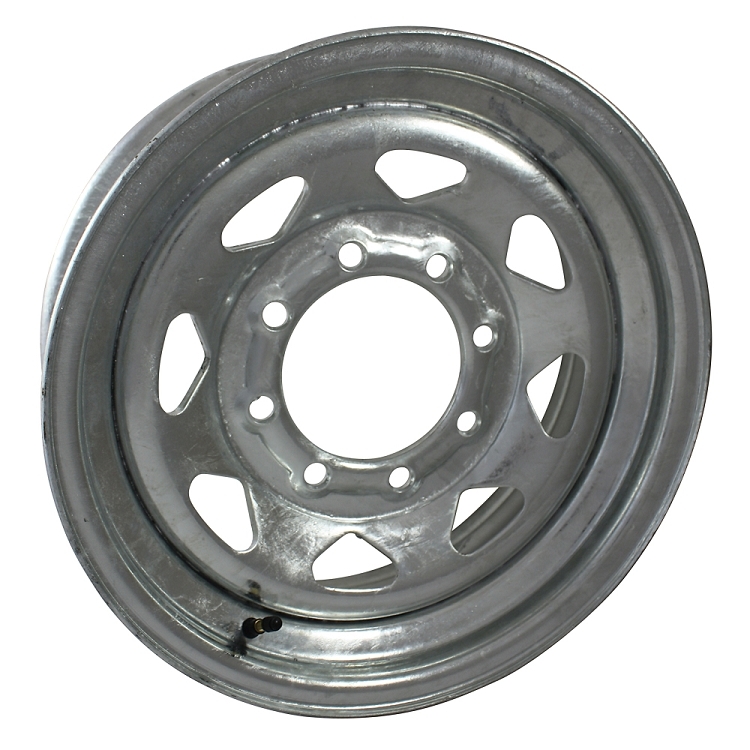 16 x 6 Galvanized Steel Spoke Trailer Wheel 8 Lug, Free Ground Shipping. 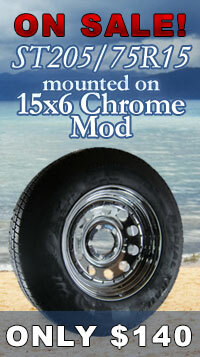 This hot dipped, galvanized spoke trailer wheel measures 16 inches in diameter, and 6 inches in width. 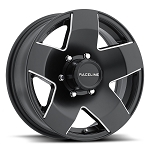 The lug pattern of this wheel is 8 on 6.50 inches, which means it requires 8 lug nuts (sold separately). You will find our lug nuts located here: Lug Nuts and Bolts. 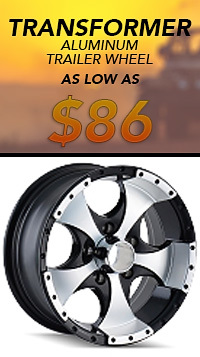 The center bore measures at 5.15 inches, which means you will need a center cap that measures the same to push through the hole (sold separately). 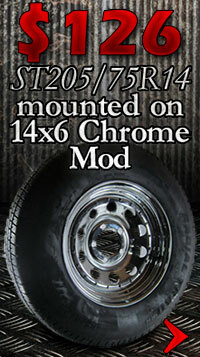 You can find 5.15 in center caps on our website by clicking here: 5.15 in Trailer Wheel Center Caps. 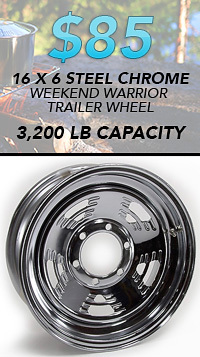 The load carrying capacity of this galvanized trailer wheel is 3,750 lb and the offset measures at 0 inches.